The NordicTrack C500 will give you the inside track on cranking up your cardio. Plus, it comes with a one-month IFit Membership to use as your personal trainer. Investing in exercise equipment is an investment in your health and happiness. Being able to exercise despite the weather or time of day makes it much easier to workout regularly. Whether you choose a full stack of weights with cardio equipment or you simply want some dumbbells and a yoga mat, the products in Walmart's Exercise and Fitness department will help you get moving and stay healthy. If you need to improve your health or if you want to maintain your current level of fitness, this part of our site is your ideal destination. We offer a wide variety of equipment at Every Day Low Prices, making it easy to put regular workouts within reach. Expensive gym memberships aren't the only way to get the job done, and in fact, having equipment of your own at home can save you money in the long run while making it harder to skip a workout due to the proximity of your exercise equipment. 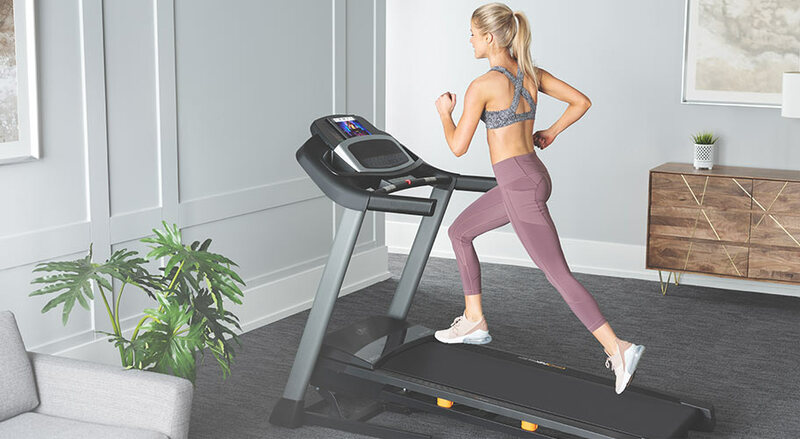 treadmills, stationary bikes, elliptical trainers, stair climbers and other types of motorized exercise equipment can make the task of getting your cardio in much simpler. This is especially true if you live in a crowded area or experience frequent foul weather that makes it unappealing or even dangerous to go for a walk, run or cycle outdoors. Cardio exercise is an important part of the whole picture of health and wellness, and if you're currently living a sedentary lifestyle that doesn't include much movement, bringing a cardio machine home can make a world of difference. If you can replace even a few hours of stationary time each week with movement, you'll be on the right track to better health and even a better mood. Our Exercise Machines category also includes home gyms, inversion trainers and other strength and weight training equipment so you can get assistance with form or do specific exercises you can't do with free weights or resistance training. Walmart's Strength & Weight Training section has everything you need to build muscle and take care of anaerobic exercise requirements. From weight benches to dip stands and pushup stands, this equipment can give you the support and assistance you need to work out as efficiently and completely as you'd at the gym. If you don't have room for this kind of heavy equipment in your home, this section is still a good resource for you. There are a lot of muscle-building and strength-conditioning exercises to do with dumbbells, barbells and other types of free weights. We even offer some adjustable-weight hand weight sets that are compact and efficient, so you can have a complete workout and step up your strength without taking up a lot of space. Whether you have a full garage or basement to fill with workout equipment or you just have a corner of an apartment or dorm room, you'll find options to suit your needs. Cardio and weight training aren't the only ways to get fit. Yoga and Pilates are two increasingly popular strategies for building flexibility, strength and endurance. 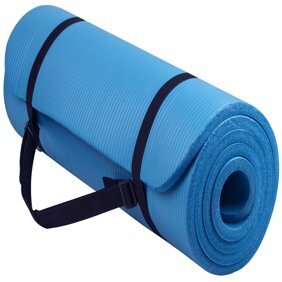 From simple equipment like mats and blocks to more advanced kits with straps and cords, you'll find the equipment you need to perform your mat Pilates or yoga routines at home. If you're new to these two exercise techniques, you can learn what they're all about and get some guidance on how to perform the moves with yoga and Pilates DVDs. Taking private yoga or Pilates lessons can be expensive, but you can still practice these exercises at home on a budget with the supplies and equipment in this section. The right clothes can make it much more comfortable to exercise. Clothing that moves with your body and doesn't restrict your range of motion can help you run, stretch, bend and lift without interference. Lightweight, modern activewear fabrics are also cooler and more comfortable to wear for exercise than standard street clothes. If you're trying to get your family more active, having the right wardrobe basics can make it a lot easier to get moving and make regular physical activity a part of your lifestyle. Activewear pants, shorts, capris, tees, tanks, jackets, socks and shoes are available through the Exercise and Fitness department. We've divided our activewear offerings by size range, making it easy for you to find just what you need. From athletic clothes for kids to big and tall men's sizes and maternity options for pregnant women, we offer activewear options for each and every type of person in every phase of their fitness journey. Don't let a lack of athletic clothes stop you from getting the activity you need. You'll find just the clothes you need in your size in this section.